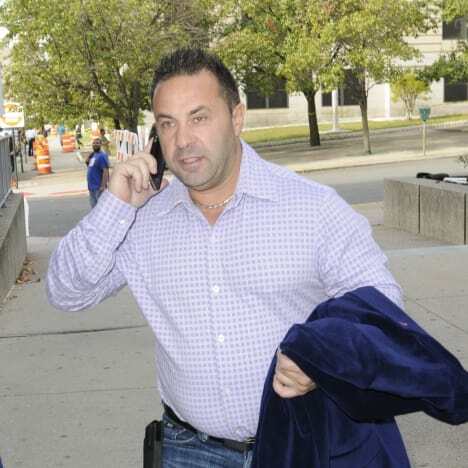 Joe Giudice: In Denial About Being Deported?! As we reported earlier this week, there’s a very good chance that Real Housewives of New Jersey star Joe Giudice will be deported after he’s released from prison. In fact, it’s looking more and more like a foregone conclusion. Pretty much everyone has accepted the fact that Juicy Joe will likely be shipped back to Italy as soon as he’s finished serving his four-year prison sentence. Everyone, that is, except for Joe himself. Yes, as you probably already know, Giudice is currently behind bars on felony fraud and tax evasion charges. Unlike the imaginary brown boogeymen certain politicians want you to live in fear of, Joe actually moved to the US and promptly went about the business of committing felonies. Governments generally aren’t fond of that sort of behavior, which is why Joe will likely be handed a one-way ticket to Florence the day he leaves prison. According to Radar Online, Joe is already “in deportation proceedings,” despite that fact that he’s still in custody. “ICE has lodged a detainer, and he is in removal proceedings,” a source tells the site. “Joe is convinced that he is not getting deported,” says a different insider. Yeah, we’re gonna go with the former option on that one. Hilariously, it seems ICE is so eager to send Joe back to the land of popes and pasta that they might not even wait until he completes his sentence. “If he is ordered deported while in custody, he will be removed from the U.S.,” says the insider. 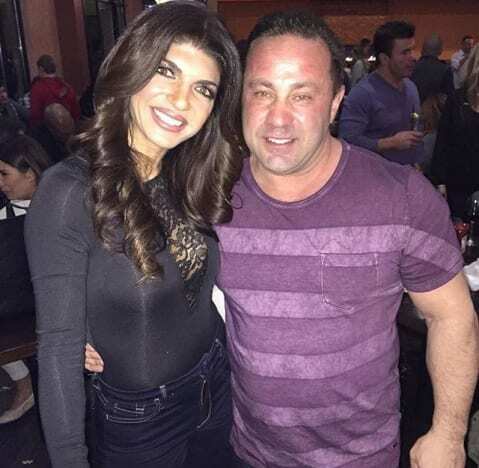 Of course, the big question now is — if Joe gets deported, will Teresa Giudice go with him? Teresa has been pretty non-committal in her responses to that particular query, so the safe bet is that she’ll be staying put in the U.S. of A. “I mean, Italy’s a beautiful place to live,” she said in a recent interview. Yeah, those aren’t the words of a woman who’s eager to uproot her life and move across an ocean. Teresa has four young daughters; she makes a lucrative living in the US that she can’t make anywhere else; and she needs the money more than ever thanks to her multi-million dollar debt to the government. In other words, Joe might want to get ready to arrivederci to his long-suffering wife. View Slideshow: Teresa and Joe Giudice: Getting DIVORCED Over Cheating Allegations?! Jill Duggar & Derick Dillard: Broke? Begging For Money From Fans?! Next story Lindsay Lohan: I’m Normal and Nice Now! I Swear! Previous story John-David Duggar and Abbie Grace Burnett: They… Are… Courting!